Hey Tallahassee! 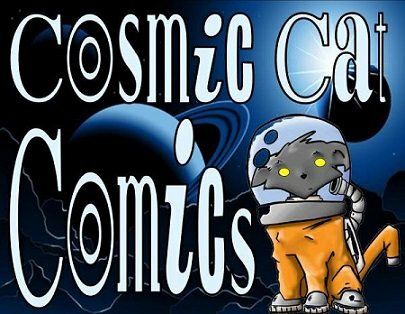 On Friday, November 2nd, author Chris Widdop will be signing books from The Ninja Kat series at Cosmic Cat Comics, located at 625 Industrial Dr, as part of Railroad Square's First Friday event. So come on out from 6:00 PM - 9:00 PM and pick up your very own signed Ninja Kat books! The wait is finally over. If you would, please check out Ninja Kat author Chris Widdop's latest short film, Sianostra! Hey Tampa! This August, Chris Widdop will be signing books from The Ninja Kat series at Tampa Bay Comic Con! Tampa Bay Comic Con will take place at the Tampa Convention Center from Friday, August 3rd to Sunday, August 5th. So check us out while you're there, and visit www.tampabaycomiccon.com for more information concerning the times and location. Charlotte, North Carolina! This June, author Chris Widdop will be signing books from the Ninja Kat series at HeroesCon! HeroesCon will take place at the Charlotte Convention Center from Friday, June 15th to Sunday, June 17th. So check us out while you're there, and visit www.heroesonline.com/heroescon for more information concerning the times and location. Hey Tallahassee! 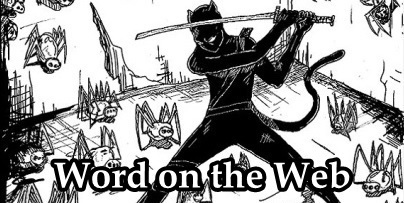 On Friday, April 6th, author Chris Widdop will be signing books from The Ninja Kat series at Cosmic Cat Comics, located at 625 Industrial Dr, as part of Railroad Square's First Friday event. So come on out from 6:00 PM - 9:00 PM and pick up your very own signed Ninja Kat books! Since the beginning Widdop has created an imaginative world filled with anthropomorphize animals who are a vessel in telling his story. Full of charming and complex worldbuilding, I was wondering what Velcro's magical abilities meant and how it was used across the world; what was the history of magic that made the Devil Corps want to remove it from the world and how those who wield magic might use it to defend themselves. Between Velcro and the villages who are ready to stand up for themselves, The Devil Corps willing to do anything to win, and The Masquerade who want to protect magic, there's a lot of conflict brewing at the forefront and Widdop breaks it down in a unique way in a manageable pace. Slowly but surely, the direction Widdop has taken with Velcro comes together from revealing pieces of the story and letting them fall into place. 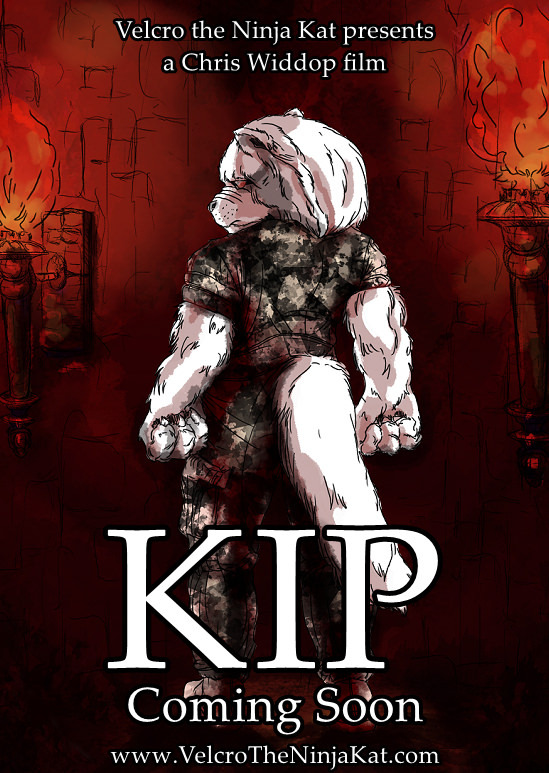 This series is a wonderful start for fans of action mixed with fantasy who enjoy an engaging quick read filled with complex animal characters. I'm excited to see where Velcro and the revolution heads to next! Read Oh So Geeky's full review here. Check back for more details as we get closer to these events, and we hope to see you there! Last May, author Chris Widdop was invited onto The Anti-Plastic Cascade podcast, where he was interviewed by M.H. Smith. They discussed The Ninja Kat series, as well as all of Mr. Widdop's films to date, going a bit in depth into the creative processes of novel writing and filmmaking. The full interview has finally been posted online, broken up into three parts, and now we'd like to share it and invite all of you to give it a listen for yourselves. Enjoy! 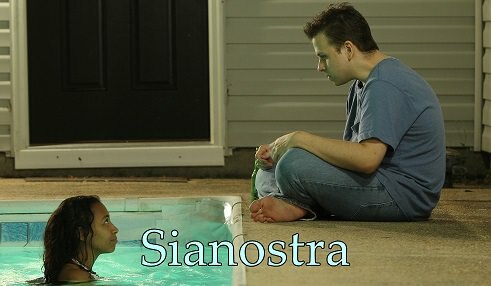 This episode covers Chris’ novel series "VELCRO: THE NINJA KAT" and his introduction to filmmaking. This episode covers Chris’ three short films and novel writing vs. filmmaking. This episode covers Chris’ future goals, work ethic/creative process, and the origin of his Twitter handle. Hey Tampa, Chris Widdop will be signing books from The Ninja Kat series at the first ever Tampa Bay Children's Book Fair! Hosted by Wordier Than Thou and Ybor City Chamber of Commerce, Tampa Bay Children's Book Fair will be a part of the 71st Annual Fiest Day, located at 16th Street and 7th Ave, Tampa, Fl, and will take place on Saturday, February 24th from 11:00 AM to 6:00 PM. So check us out while you're there, and visit Wordier Than Thou on facebook for more information concerning the event. St. Petersburg, Fl! On Tuesday, February 13th, author Chris Widdop will be signing books from The Ninja Kat series at Books at Park Place, located at 10468 Roosevelt Blvd N, as part of their Valentween event. And at this signing, fellow author Amanda Byrd will be launching her latest novel, Trapped. So come on out from 6:00 PM - 8:00 PM so you can meet the authors, and pick up your brand new signed books while you're there! For more information regarding Books at Park Place and this event, check them out on facebook. Hey Tampa! On Saturday, February 3rd, author Chris Widdop will be signing books from The Ninja Kat series at Book Swap of Carrollwood, located at 11738 Dale Mabry Hwy. And for this event, every Ninja Kat book that you purchase will also come with a free used book of your choosing! 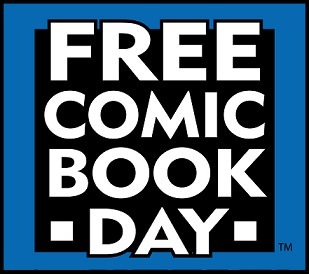 So come on out from 1:00 PM - 4:00 PM, check out their used books, and pick up your very own signed Ninja Kat books while you're there! 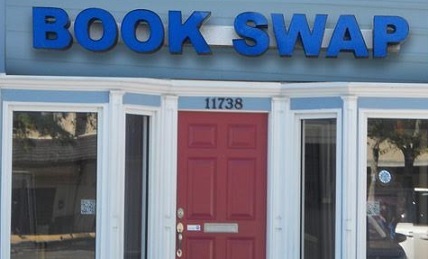 For more information regarding Book Swap of Carrollwood, check them out on facebook.